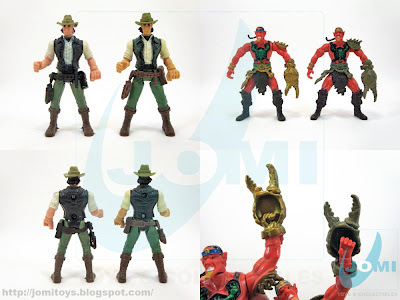 So many things have been said about bootleg toys, some collectors even consider Chap Mei toys to BE a "bootleg brand". I refrain from commenting that remark. 3 things are absolute truths: 1- Chap Mei evolved to a point where it gained respect of 3 3/4" collectors. 2 - They have bootlegs of their very own creations. 3 - Bootlegs are becoming very well done. 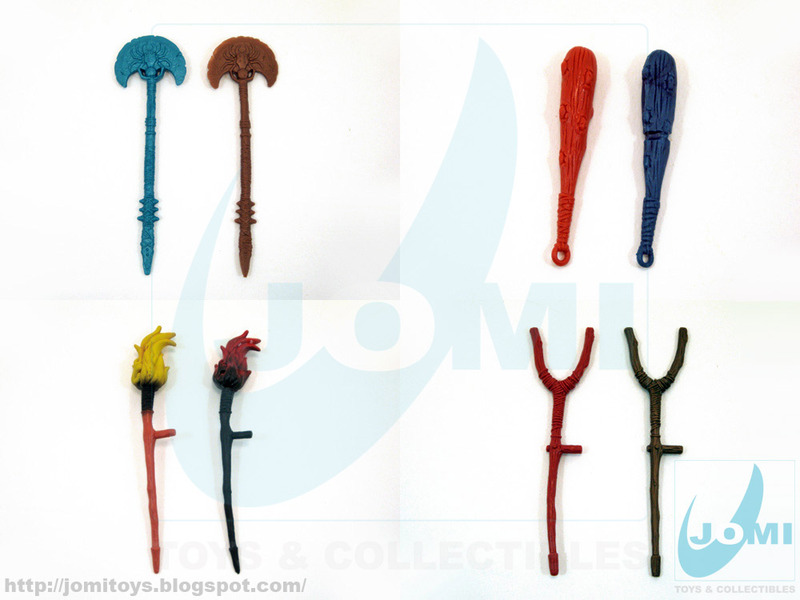 That being said, let´s look at some examples. 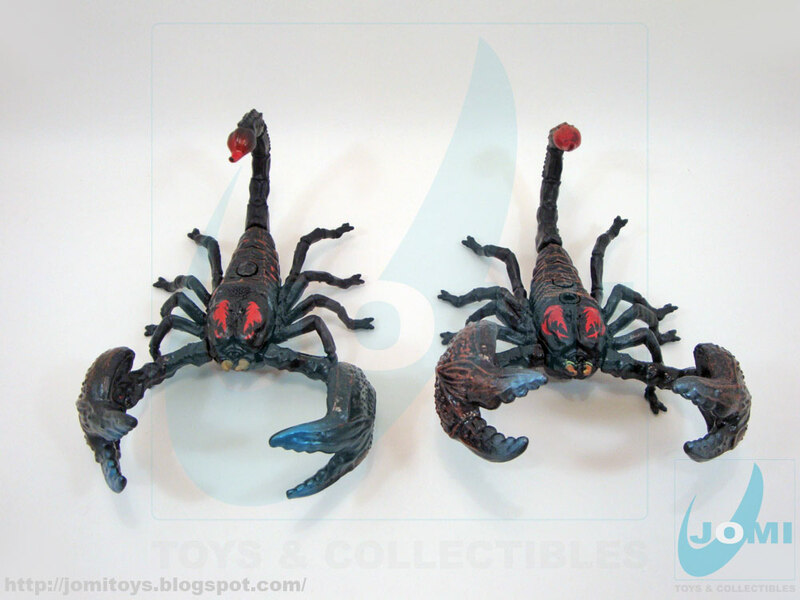 The scorpion on the left is a bootleg. It misses the hole to snap the figure, but the tail does come off. Other than that, painting is fine, sculpt is great. 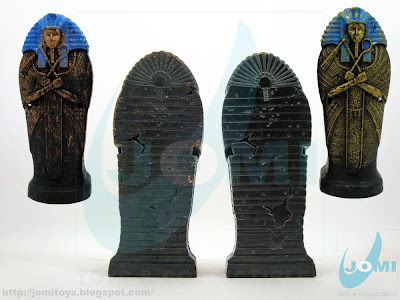 The sarcophagus on the left is a bootleg. The plastic is a bit harder and the pins to connect both top and bottom are more fragile. The painting is slightly sloppy. But once again, the sculpt is a near perfect copy. Figures. Again, keeping bootlegs on the left. This plastic matter, being softer, is harder to keep smooth. Therefore, the flaws are more noticeable. And even so, these are still good copies. 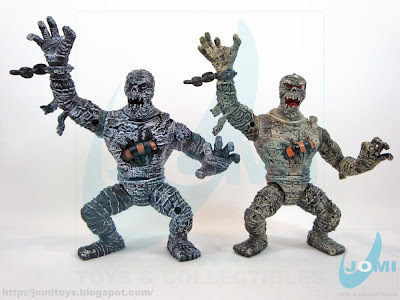 The "Bomani" figure has the claw fused to the hand, making that aspect the "careless" detail. Accessories. While the bottom examples use softer plastic trying to replicate the original (this time on the right), are simply "ok", the blue ones on top (bootlegs) are actually better than the original. 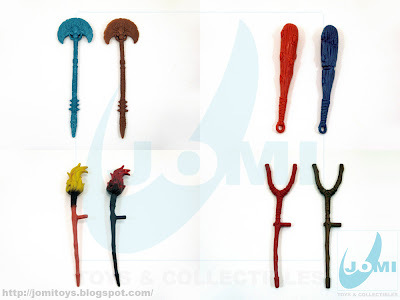 They are made of a harder material, and the staffs, especially, need that stiffness to look cool. 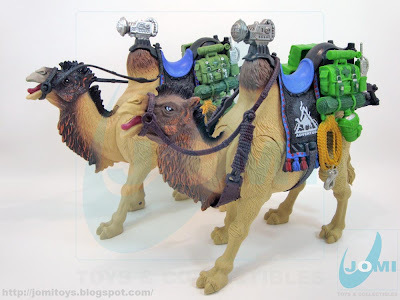 Camel. The foreground is the original. Curiously, the bootleg camel features SFX. Amazing replica. Evil Oba giant mummy. The bootleg is on the right. Slightly lighter, it features every capability the original does. Lights, opening chest, and all the same movements. 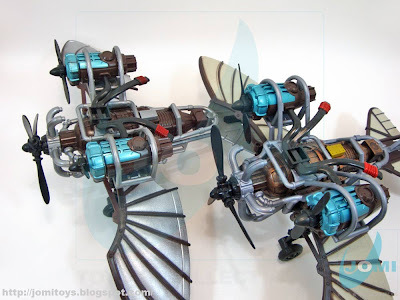 Sky wing. Left is bootleg. The wings are silver instead of tan. Other than that, it misses its belly figure´s basket and a tail part. But the question here is the level of detail. Fantastic. As a final comment, I´ll leave this as food for thought: Everybody questions and talks about copies and mold replicas and/or theft. Has anyone thought that these could be the toys that never passed quality control and being thrown away for recycling, never made it back to the furnace? Think about it. Back in the day, way before retirement, my dad was a security inspector. One of his many clients was a book factory. And they had thousands of books to be thrown away just like the ones you buy at the stores. But failed quality control. A slightly bent or ripped page was enough. And that may be the thing. If someone would grab those toys before they went back to the beginning of the process, and even some "bent" boxes, they could feed the market. But like I said, just food for thought.